Cosmetic dentistry allows for a vast range of services specifically targeted towards improving ones physical appearance. 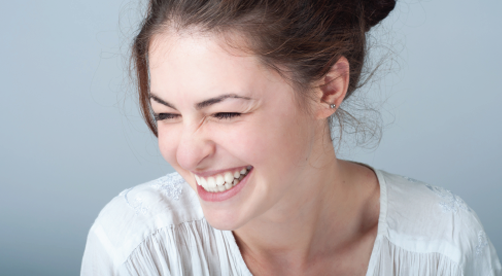 From simple whitening to more extensive reconstruction, our office is experienced and skilled with whatever is required to help you have a beautiful and lasting smile. Teeth whitening is one of the most sought after cosmetic dentistry procedures, and for good reason. It is remarkably effective; the overwhelming majority of our patients see moderate to substantial improvement in the appearance of their teeth. You cannot turn on the TV or look through a magazine today without noticing how popular whitening has become. The transformation that comes with something as simple as whiter, brighter teeth is astounding. Many factors can contribute to your teeth becoming discolored. Teeth are referred to as "pearly whites" for good reason. When our teeth come in, they are protected by enamel. Enamel is made of microscopic crystalline rods and protects the teeth from damage due to chewing, acids, sugar, and trauma. As we age, the enamel on our teeth wears and becomes thinner. Our teeth’s core is comprised of dentin, and this is naturally a yellow color. As enamel thins, the color of the dentin begins to show. Small cracks can form in the enamel. This allows stains and debris from the foods and drinks we consume to build up in the crevices and create a yellowish, dull exterior. Stains can be placed in one of two categories, extrinsic and intrinsic. Extrinsic stains are those that come from the food and beverages we consume, including dark colas, coffee, teas, and tobacco. Brushing and routine dental cleanings can remove some of these stains, but some are more stubborn and may remain even after teeth cleaning. Intrinsic stains are those that form from the interior of the tooth as a result of aging, trauma, or tetracycline and other factors. These are the stains that were once considered impossible to whiten. Today’s dental advances allow teeth to be whitened from even intrinsic stains, which gives hope to many who thought teeth whitening was not an option for them. At our practice, we offer both in-office and at-home whitening processes that can help most people achieve remarkable results. The in-office procedure uses an innovative product called Zoom! The procedure begins with a painless preparation that isolates your teeth while protecting your gums and lips. Next, the Zoom! gel is applied to your teeth and treated with the specially-designed light. Together, this helps stains and discoloration break up. The gel is applied in three or four, 15-minute sessions, during which time you can relax and watch TV or listen to music. You’ll be finished in 90 minutes – and will have a brighter, whiter smile to show for it. Patients who Zoom are also provided with custom made take home trays which allows you to continue the process at home or use for touchups later. We also offer the Opalescence program for those who wish to whiten their teeth in the privacy and comfort of home. When used as directed for 1-2 hours per day, you can have a whiter smile in as little as three days as results vary from person to person. The Opalescence program is customized for your particular needs and is effective and safe. We use Opalescence products in varying concentrations which allows us to customize the right product for each patient. The difference a whiter smile makes is nothing short of astonishing. The procedure is very simple and will conveniently fit into your schedule and budget, giving you even more reasons to smile. How long does the Zoom! In-office system work? By following some simple post whitening care instructions, your teeth will be lighter than they were before. To keep your teeth looking their best, we recommend flossing, brushing twice daily and occasional touch-ups with whitening gel. These are professional formula products designed specifically to keep your teeth their brightest. They are available through our office. Sensitivity during the treatment may occur with some patients. The Zoom! light generates minimal heat which is the usual source of discomfort. On rare occasions, minor tingling sensations are experienced immediately after the procedure, but always dissipate. We will supply you with anti-sensitivity toothpastes for use prior to treatment. A thin layer of porcelain can be applied to the front of a tooth to dramatically improve its position, size, color and shape. Created in a dental laboratory, these restorations can provide you with a permanent esthetic solution in just two clinical procedures. Bonding is a procedure in which chipped, cracked or discolored teeth are repaired. Dr. Schechter begins this procedure by selecting the bonding material that is the closet shade to your teeth. The resin is then applied to the teeth, shaped to the desired form and then hardened with a high intensity light. This procedure allows the dentist to restore and enhance your smile in a single visit. Inlays and Onlays are used to replace silver fillings. They are usually made from composite resin, porcelain, or gold. Once placed, they are virtually undetectable in the mouth, and conserve most of your natural tooth structure.